CAD Schroer has announced the release of version 1.2 of MPDS4 REVIEW. 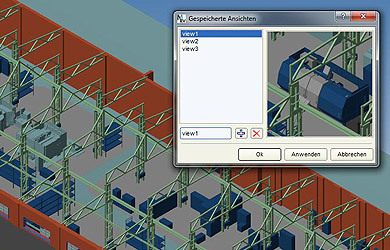 The latest version includes new structure information, measuring and 3D view options. MPDS4 REVIEW is an external 3D review and feedback tool. 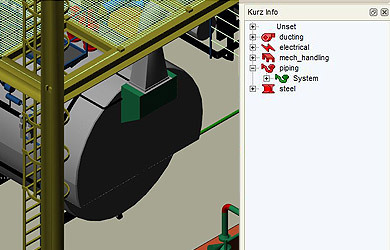 The software is used to interactively review MEDUSA4 3D CAD data in detail, or to walk through an entire industrial plant, generated by CAD Schroer’s MPDS4 plant design system. The system enables users to see model properties and attach comments for designers, which are saved with the model. In addition to showing details and attributes for selected components within a plant or factory, version 1.2 now allows users to gain an overview of the structure of the 3D data by providing a structure tree, which lists systems, subsystems, and individual components. Version 1.2 now also allows users to measure distances between components, and to display these distances on the screen. 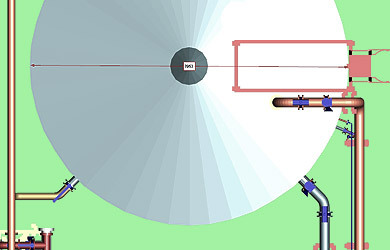 The model can be saved with distances displayed. In addition to the existing tools for choosing different views and conducting camera-like 3D walk-throughs, MPDS4 REVIEW now allows users to name and store different views of a model or plant, which can then be selected and displayed at any time. This makes the tool even more ideal for collaboration with suppliers, colleagues and customers, as different views can be saved with a model, which can quickly be selected during a presentation to (or by) a customer, or during a meeting with collaborators. MPDS4 REVIEW version 1.2 is available for immediate download for CAD Schroer maintenance customers via its Customer Portal.